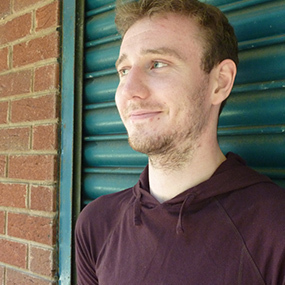 Time travel, an action star and a mental institution; this is a new take on science fiction but does it work? In a future where the world has been devastated by a biological weapon, convict James Cole is forced to go back in time to gather information on what happened. Having not experienced normal life for such a long time he must interact with scientists, the mentally ill and the general public to complete his mission. Despite being a science fiction film the backdrop is bleak using graffiti covering walls, paint peeling and litter covering every space in both the futures broken world and the nineties setting, which creates a brilliantly dull, shadowy atmosphere. Here director Terry Gilliam, scoured flea markets to find old and heavily used props to show that the human race had not progressed past 1996. This all helps to create a science fiction movie without the aesthetic glamour or sophistication of its peers and is a great way to keep continuity between the time zones while implying already present doom. Bruce Willis plays a character similar to his action outings and is well fitted to the role of a disgruntled but intelligent protagonist. This role leans more towards drama than action however and he pulls it off with ease, but it is Brad Pitt who steals the limelight as a whacky and mentally unstable patient of an institution, before becoming the leader of a rebel group. His uncontrollable speech, worry about germs and rapid speech, ‘You finish here, I’ll meet you there and if you forget one thing I will have you shaved, sterilized and destroyed,’ all help to create a stand out character and the best performance of the film. After a slow start, pace quickens when Cole abducts scientist Kathryn Railly and a fantastic scene between them in a gritty motel suite follows: Cole tries to convince Railly that he’s mentally ill whilst she tries to prove Cole’s crazy story is true before a pimp walks in and starts a fight with Railly. These surreal scenes work brilliantly to unnerve the viewer and represent Cole’s unsettled mind, but it’s Gilliam’s insistence on balancing Twelve Monkeys mainstream action thriller aspects with his surreal approach that makes the film appear disjointed at times. 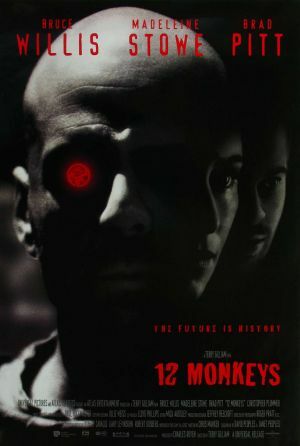 With Terry Gilliam helming, Twelve Monkeys is less surreal than you may expect but it’s still not an entirely easy film to watch. However, as with many Gilliam releases, this film guarantees you’ll be pondering it’s complexity well after the credits roll.